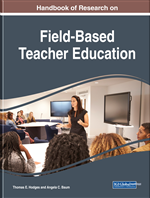 This chapter describes an approach to field experience that provides the opportunity for a long-term relationship between a teacher candidate and their supervising teacher in a teacher preparation program called Community of Teachers (CoT). CoT emphasizes the importance of this relationship in several ways. The program empowers teacher candidates and their mentors to choose one another. In addition, the length of the field experience provides an opportunity for teacher candidates to more deeply engage in the process of becoming a teacher within the context of a classroom and a school that they come to know well. A triadic relationship between the teacher candidate, supervising teacher, and university supervisor provides the opportunity for support as well as evaluative feedback for the teacher candidate. Benefits also accrue to the supervising teacher. Community of Teachers was designed to address some of the shortcomings of traditional teacher preparation. According to the founders of CoT, Drs. Tom Gregory and Susan Klein, limitations of typical teacher preparation included the relatively short duration of field experiences and the limited time spent deeply engaging with the work of a teacher (T. Gregory, personal communication, September 14, 2016). In addition, too often teacher candidates spent time in their field experience simply observing instead of taking the opportunity to enact some of the skills they were learning in university coursework. Finally, the seemingly random assignment of mentor teachers and candidates to each other, and the lack of preparation for mentor teachers to work effectively with teacher candidates was also considered problematic. Importantly, the founders of CoT, influenced by the work of Frances F. Fuller (1969), noted that too often teacher education does not address the personal concerns of teacher candidates until rather late in the process. Seminar: A required course comprised of teacher candidates who represent all stages of preparation from beginners to student teachers and all content areas, whereby a seminar leader guides the activities that focus on educational theories, practice, and effective instructional strategies. Field Experience: In CoT, this time is extended over several semesters as both the mentor and teacher candidate identify beliefs and understandings, which allow them to implement practice from a mutually informed perspective. Portfolio: Teacher candidates earn a license by presenting accumulated evidence in a performance-based professional portfolio that faculty judge to demonstrate that a candidate is prepared to teach. Mentor: An experienced teacher acting as a host to a teacher candidate in their classroom, guiding them toward licensure. Teacher Candidate: A student accepted in CoT who attends seminar, finds a mentor, and completes a portfolio for the duration of the program including student teaching.